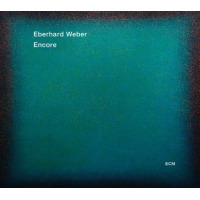 Today's Rediscovery, after a bit of a hiatus, looks at an album by Eberhard Weber that is of particularly significance in the German bassist's discography. 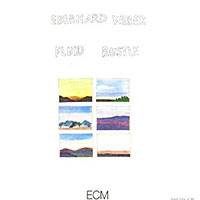 Fluid Rustle, released by ECM Records in 1979, was, in fact, one of many anomalies in Weber's discography for its unusual instrumentation (electric guitar/balalaika, vibraphone/marimba, bass/tarang, voices); but beyond that, it stands out as the album that introduced guitarist Bill Frisell to the world. "Soon after I got to Belgium, in 1978," said Frisell, "I get a call from Mike Gibbs, who had a tour of England with his own big band, and his regular guitarist, Philip Catherine, wasn't able to do the tour. I had played in Mike's band at school, so I knew the music, so he called me and asked me if I could do his tour. There were a lot of British musicians in the band, like [drummer] John Marshall and [trumpeter] Kenny Wheeler and [saxophonist] Charlie Mariano. Eberhard Weber was playing bass, so I was kind of thrown in with a lot of the guys I had been listening to already. "It was just an incredible opportunity for me to be able to play with all these guys," Frisell concluded. "So, during that tour, there was a little area every night where Mike Gibbs let Eberhard and me play some free improv, and it really felt great; it felt like we were connectingthere'd be moments where it lifted off, with just two of us playing. This was in October or something, of 1978, and Eberhard had this recording coming up with Gary Burton that was going to be Fluid Rustle. Man, I couldn't believe it; I had done a couple little recordings in Belgium, but nothing that was a big recording. That was how I met [ECM label head/producer] Manfred Eicher the first time, and I think I was so terrified of the whole thing, I didn't know what I was doing. Even traveling and staying in the hotel, I didn't know what to do; I didn't even know how you checked into a hotel or anything. And I wasn't able to get much going; I was pretty inhibited during that recording." And while it is, indeed, true that Frisell's playing is somewhat tentative on an album of largely introspective chamber jazz that also features singers Norma Winstone and Bonnie Herman, vibraphonist/marimbaist Gary Burton and, of course, Weber, using his custom-built five-string electric double bass. Still, hearing the album when it was first released, I couldn't help but feel that this guitarist, whose name was new to me, was someone well worth watching. How right I was. 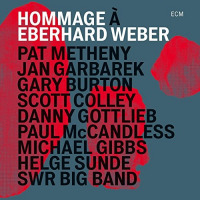 That feeling was quickly justified over the course of the next few years as Frisellplaying again with Weber on his equally impressive Later That Evening (ECM, 1984), recording and touring with ECM label mate/Norwegian saxophonist Jan Garbarek (1983's Paths, Prints and 1984's Wayfarer, the subject of another Rediscovery column), and appearing on a blistering live set with yet another ECM artist, Norwegian bassist Arild Andersen (1982's Molde Concertgrew in leaps and bounds, even releasing his own solo debut for the label in 1983, In Line, and quickly becoming the idiosyncratic, instantly recognizable guitarist who has, in the ensuing years, become one of the most influential of his generation. But at the time of Fluid Rustle, Frisell had yet to gain the confidence he needed to truly stand out. Still, his solo in the buoyant middle section of the title track was more than enough to suggest a new guitar hero in the making. With a dark, brooding introduction,"Fluid Rustle" also features a characteristically perfect solo from Burton, whose playing throughout the album is a revelation. Outside of his duo with pianist Chick Coreawhose ECM recordings are documented on the label's 2009 Old & New Masters Edition box set, Crystal Silence: The ECM Years 1972- 1979Burton was, at the time, rarely heard outside of contexts with a conventional bass/drums rhythm section, making Fluid Rustle an anomaly in the vibraphonist's discography as well. 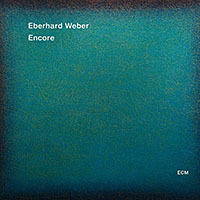 Weber had, by this time, already experimented with contexts beyond the normthough it would be misleading to suggest any of his recordings, including his own Old & New Masters Edition box, Colours (2010), which collected the bassist's three recordings featuring his popular Colours quartetwere anything resembling conventional. 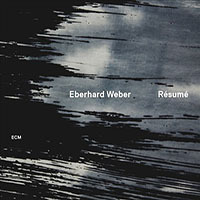 Still, Weber's The Following Morning (ECM, 1976), which featured the bassist alongside Colours keyboardist Rainer Bruninghaus on a series of original compositions written for bass, piano, cello, French horn and oboe (the latter three instruments performed by members of the Oslo Philharmonic Orchestra), was a clear indicator of the bassist's desire to work in a variety of contexts.